Horne - (Bless him, Doug actually tries to get a word in.) Jim? Jim? Fetzer - eliminate all of this they had to reconstruct the film which it turns out we now know based upon Doug Horne’s masterful work was done at Hawkeye works at Rochester labs, home of KODAK. Horne - not only attest that Hawkeye Works existed, but that it could process motion picture film and could literally do anything. Horne - Yeah, it’s even worse. 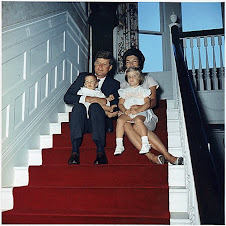 We all know that, for the listening audience the Zapruder family knowing that their film was about to be taken commissioned MPI, a video company, to photograph on large format film four by five inch color positive transparencies each frame of the Zapruder film in 1997. I was present in the Archives when that occurred. It took three and a half days to do the job. I witnessed a lot of confusion during the process which would explain the frames that are reversed and missing from their product. But, it’s worse than that, they manipulated these images digitally before re-creating it as a movie. So, the images on their DVD and their videotape from 1998 are dark, they are muddy, they are not in good focus, and there are aspect ratio problems as well. Fetzer, - Yes, and John Costello has removed the aspect ratio distortion, and also the pin cusion distortion in what is known as the “Costello combined edit,” which is available absolutley free at no charge, the Archives will charge nearly $800 if you wanted to obtain a film such as Sidney obtained for the sake of the Hollywood researchers. You can obtain a better version free on assassinationscience.com if you visit there. I would like to make two other points, Doug, one is that you, with your characteristic understatement, said of the Hollywood studies of the film that it wasn’t scientific but I would point out that observation, measurement, and experiment are fundamental to science and what has taken place here was an expirement by creating an enhanced digital version of the film and then subjecting it to very focused observation by professional experts, that was an experiment, and that is scientific, and it is like other features you have observed dispositive of the issue of whether or not the film is a fabrication. Horne - Yes, Jim, let me interject here I cannot [over] emphasize how important that is. I’m so glad you brought that up. Fetzer - But, I would point out that since 1992 when I organized a research group consisting of the best qualified individuals to ever to study the case, a world authority on the human brain who is also an expert on wound ballistics; a PhD in Physics who is also board certified in radiation oncology; a physician who not only was present at the treatment of JFK in trauma room one but was [also] responsible for that of his alleged assassin two days later in trauma room two; a legendary photoanalyist who testified before the House Select Committee and advised Oliver Stone; and a PhD in electro-magnetism who has done the most brilliant work on the film; that from the beginning we have been sorting out the authentic from the inauthentic evidence, and you have a vast repository of our findings, where it turns out that when you seperate the authentic from the inauthentic which we have done in “Assassination Science,” in 1998, “Murder in Dealey Plaza” in 2000, and “The Great Zapruder Film Hoax” in 2003 it becomes very simple to sort out what actually happened, and where Doug Horne’s work, I’m very proud to say corroborates, fills out and verifies what we have discovered in the series of those studies beginning in 1992. Horne - Yeah, in a sense that’s what my book is about. It’s about identifying where there is fraud in the evidence, explaining that that’s why the case has never come together like a normal homicide case, and then sorting out, examining what we have left, after we throw out the fraud. Fetzer - And you know a very sad aspect of this is the very man who made that point is one who has been in the forefront of perpetrating the fraud and deception involved in maintaining the integrity of the film which as I observed in the beginning if you accept as a [fact], the premise, that the film is authentic then, of course, it turns out to be logically impossible to reconstruct what actually happened in Dealy Plaza. And my concern, and the reason I’ve been so critical of this man, over and over again, attacking one phoney argument after another was not to disredit him personally but to discredit his arguments which has the consequence of discredting him because he is the one who has advanced one phoney argument after another. It was my unfortunate position to be able to discern through his fraud and deception because we both have PhDs in philosophy and the arguments he was making were so shabby, violated so many basic principles of logic in terms of the straw man argument and special pleadings, citing only one side of the case and the ad hominem which has become his greatest area of specialization that it was clear to me that he was not a seeeker after truth notwithstanding the fact that in the beginning I absolutely idolized the man, I even told him so, during a session we had when we first met in 1993 in Chicago when we were drinking Scotch at 4:00 o’clock in the morning. 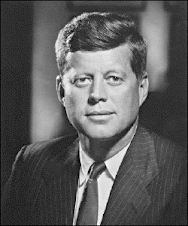 A lot of our listeners, Doug, may not realize what happened to JFK, why it happened to JFK, and I want to mention a book or two that are important in filling that out. Horne - Oh! That afternoon? Wow. Horne - Yep. And some critics have asked me, “Well, what are you up to? What are you trying to accomplish here?” Well, what I am trying to accomplish here is to educate the American people about their real history. You can’t have a democracy that works if you have people that have swallowed a fairytale. Or that are still having one rammed down their throats, rather unsucessfully I might ad. And so if you love our democacy and you love our Constitution and [if] you want to protect it the way to protect it is to explain the ways it was subverted in the very recent past so that it doesn’t happen again. That is what this is all about. Fetzer - And what I love about your mind Doug it resonates with me, you follow logic, and evidence, you look at the evidence and you derive the consequences that follow from the evidence. There are those out there, you refer to them as “the old guard,” who still think that the film is authentic and it’s our strongest proof of a conspiracy because of the motion back and to the left, back and to the left that was so emphasized in Oliver Stone’s brilliant film, which I continue to insist is the most accurate, comprehensive and complete presentation of what actually happened in Dealey Plaza on November 22nd, 1963 ever presented to the American public through the mass media, but, it’s an illusion, it’s an artifact, it’s an effect of the way the film was alterred and recreated and we cannot base our findings about the assassination of the President of the United States on fabricated evidence. Horne - No we can’t, and that applies to the autopsy report, and that applies to the dishonest photos of the back of the head taken at the autopsy, that applies to the altered skull X-rays, and that applies to the Zapruder film, that’s right. Fetzer - And something that we haven’t been able to discuss this evening but perhaps we’ll have a chance on another occassion is the glaring inconsistency between the medical evidence and the photographic evidence, in particular the Zapruder film. Because we know, for example, Robert McClelland’s diagram of the massive blow out to the back of the head we know, physician after physician after physcian at Parkland described that blow out and the extrusion of cerebral and cerebellar tissue, we know that the brain shown in diagrams and photographs in the National Archives shows an intact cerebellum and minor damage to the brain, when the man had a third to a half of his brains blown out in Dealey Plaza. The massiveness of this deception including the fact that the brains were blown out to the left rear and impacted Officer Hargis so hard he thought he himself had been shot, as well as the discovery of the Harper fragment on the grass was indelible evidence that something was massively wrong with the film, and for not putting two and two together and exposing the fabrication that something was grossly inconsistent here I personally fault Josiah Thompson for the gross inadequacy of his work which appears to me to have been designed to obsfucate rather than to clarify the evidence. Horne - Well, you know, that’s really the only thing in his book that still stands up. He gave the most eloquent description of the impact debris travelling to the left rear with great force in his book. That’s the one part of his book that still stands up and yet he never connected the dots right, he never questioned in his book, if this is so if all of the debris travelled to the left rear, if 90% of the debris with great force, then he should have pointed out that that’s inconsistent with the film being authentic and not showing damage to the back of the head, but he didn’t point that out and I find that unbelievable. Fetzer - Here’s something else I find unbelievable he is now disavowing his double hit theory that Jack’s head moves forward at great speed for a frame and then backward with tremendoud force. If you assume the film is authentic you should be committed to that double hit theory, not only did Josiah have the strongest part of his book devoted to that with graphs and so forth, with great precision but independently Richard Feinman at Cal Tech when confronted by David Lifton noticed the same double hit aspect and indeed it was independently verified by ITEK corporation so that when Josiah Thompson now is seemingly trying to disavow every indication of conspiracy that was published in his book I have to ask how far are you willingly to go Josiah in denying the obvious truths that have been demonstrated independent of you? You can’t get away with it any longer. Fetzer - You got it. 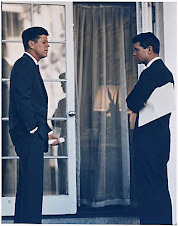 Horne - Along that same line, let me talk about something else that can’t be denied, you mentioned that David Mantik had examined the MPI color transparencies at The Sixth Floor Museum of the Zapruder film frames on November 20th, that’s correct, of just the last year. Fetzer - (as if clarifying, or answering to someone in the room he’s in) David Mantik. 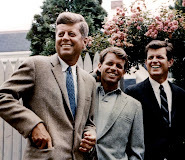 Horne - And I want to point out that David, David Mantik, has seen, who has seen the high definition scans, examined by the Hollywood research group, he verified to me, in no uncertain terms, that in terms of the blacking out of the back of the president’s head that those features, present in the dup negative that the Hollywood group is studying, they are not only present on the MPI slides [transparencies] but they are even more startlingly clear. So, yes, yes, in that one respect the transparencies at The Sixth Floor Museum are important but they are important in a different way than they are being discussed on the internet, I mean they verify the accuracy and the viability of the dup negative that is being used as a research tool, they verify that the anomolies in the dup negative obtained from the Archives are valid, because they are also present on a first generation set of color transparencies. So, I say, bring it on! Yeah, let’s, I would love to see The Sixth Floor Museum let those things be digitally scanned, and everyone will see that, they will not only see the same blacking out of the back of the head they will see that it looks even more clear! Fetzer - Doug, I just want to say as a summing up of your masterful, masterful work in relation to alteration, it is game, set, and match. I cannot thank you enough for coming on the show, and I look forward to doing it again. Horne - Thanks, Jim, and I look forward to it too, thanks very much. Fetzer - My great pleasure. This is Jim Fetzer, your host, thank you all for listening.